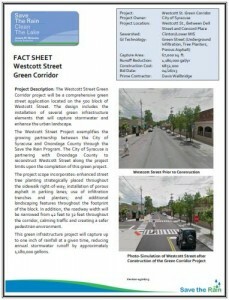 The Westcott Street Porous Pavement Project is a comprehensive green street application located on the 500 block of Westcott Street. 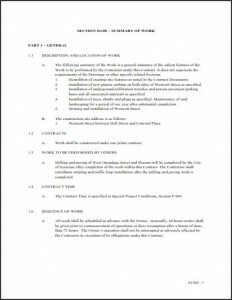 The design included the installation of several green infrastructure elements that capture stormwater and enhance the urban landscape. 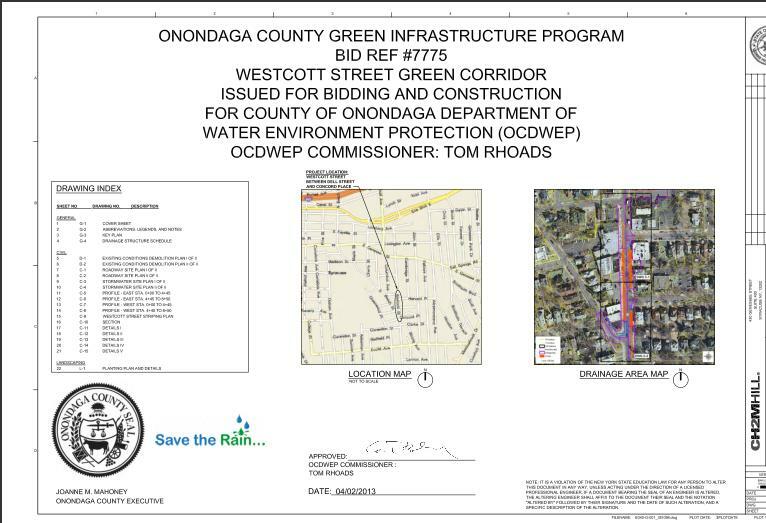 The Westcott Street Project exemplifies the growing partnership between the City of Syracuse and Onondaga County through the Save the Rain Program. 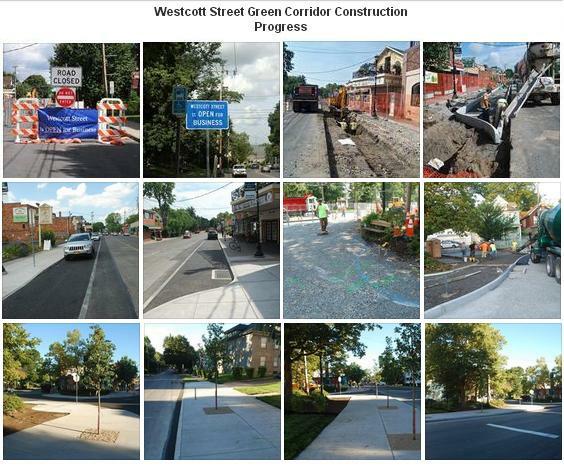 The City of Syracuse partnered with Onondaga County to reconstruct Westcott Street along the project limits upon the completion of this green project. The project scope incorporated: enhanced street tree planting strategically placed throughout the sidewalk right-of-way; installation of porous asphalt in parking lanes; use of infiltration trenches and stormwater planters; and additional landscaping features throughout the footprint of the block. 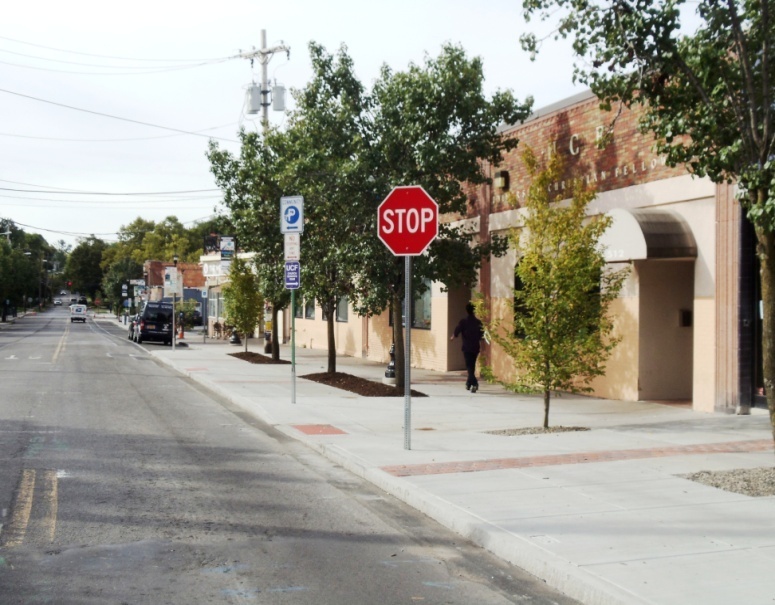 In addition, the roadway width was narrowed from 42 feet to 32 feet throughout the corridor, calming traffic and creating a safer pedestrian environment. This green infrastructure project captures up to one inch of rainfall at a given time, reducing annual stormwater runoff by approximately 1,180,000 gallons.